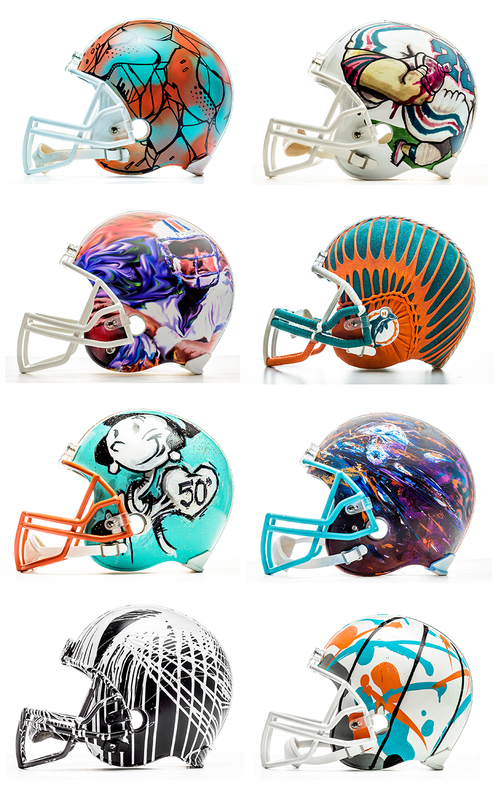 A few of our Cushy Creatives represented as part of the Miami Dolphins’ 50 year anniversary Artist Series. Each artist was given a blank helmet, with the idea that the finished products would be inspired in some way by our beloved home team. Thanks to Omar Khan for helping coordinate it, and to the participating artists from our crew (pictured above, in order): Quake, Crome, Omar Khan, Sniptease, Luis Berros, Angel Five, Hoxxoh, and Stephan Enmity.